One story this week that particularly captured my attention, and for a change gave me a warm feeling, even though given the momentous stuff happening in the world it may appear insignificant, has the title “Toy shop owner: ‘I keep Sundays special, even on Christmas Eve”. The article begins: “The Christian owner of a toyshop chain will not be opening his stores this Christmas Eve as it falls on a Sunday. 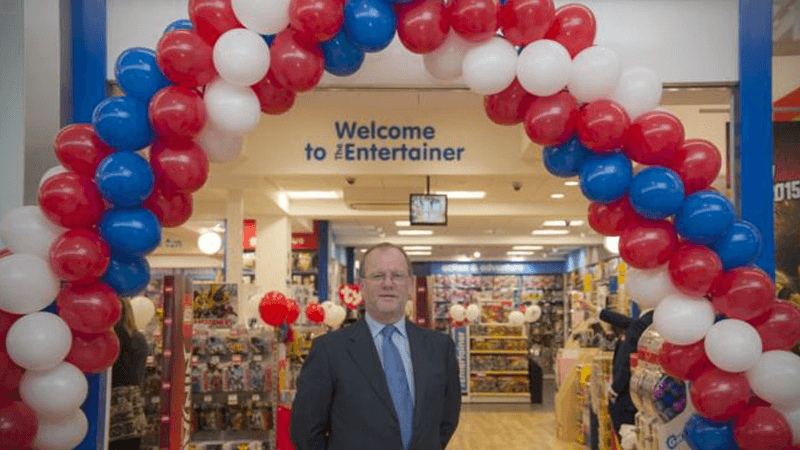 Gary Grant, founder of The Entertainer, does not open his stores on Sundays because of his Christian faith. Gary refuses to alter the policy despite Christmas Eve being one of the busiest sales days of the year”. One of the things I have noticed as I have gone from being a boy to now an old man is how Sunday is regarded. Even when growing up, many of the folk around me weren’t particularly religious, although religion was respected and many children went to Sunday School. What was noticeable then compared with now was there was not much going on Sundays. Shops were closed and a lot of recreational stuff like football only took place on a Saturday. The idea of Sunday being a quiet, restful day to be spent with the family and away from work was a real one, and so was a respect for religion. These days it seems anything goes on a Sunday, including among Christians whose forefathers would have subscribed to the rest on the Sabbath idea, embodied in the fourth commandment (although most Christians substitute the seventh day for the first). I confess that I have changed with the times, partly because a lot goes on, on a Sunday, and it would be churlish to miss out, but even so I like the idea of a day of rest and recreation and a time to spend with family and with my church family. I feel it is to society’s detriment that we treat Sunday like any other day, partly because not being able to work is a chance for families to spend time together, although I am mindful in a pluralistic society it is not wise to over push one’s ideas. Having said that, I admire Gary Grant for not opening his shop on a Sunday because of his Christian faith. I would like to think others may follow suit or at least be encouraged because someone has stood by his principles. I suspect given the nature of his business he may lose out financially but in the longer run he may gain even more.